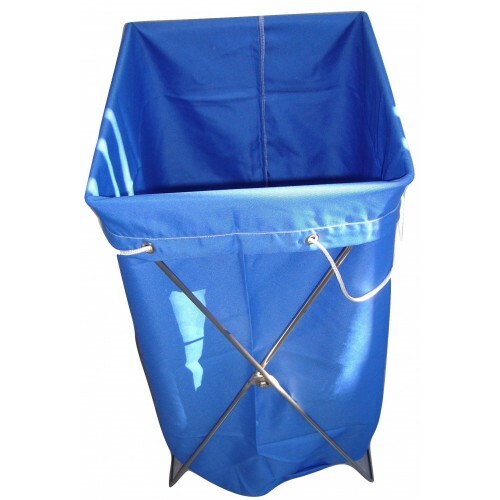 Fully stainless steel heavy duty frame which holds carry sacks open and can be folded for easy storage. This is suitable for frequent use and is made from a solid stainless steel wire rod which will not easily bend. When folded the bottom will still open sufficiently for it to stand up on its own. 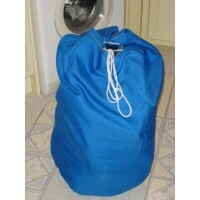 Can be used with plastic bags or laundry bags - for a wide range of laundry bag colours of bags please see: Laundry Bags. 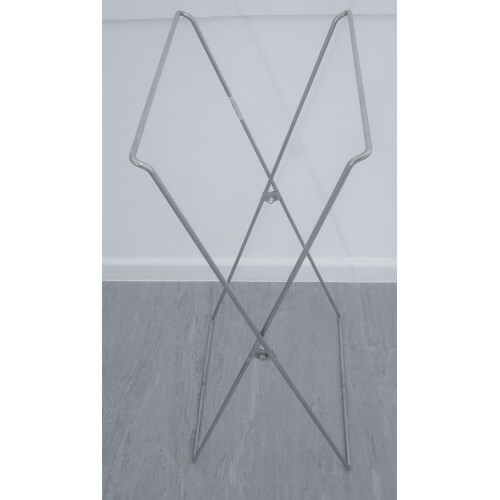 Used in hotels and accommodation where the frame is needed to hold bags open and then folded and hidden away once not in use. Easy to carry in one hand as the top closes completely (and the bottom remains slightly apart so that it can be placed down without falling over). The frame can be opened slightly and will stay in this position to allow the bag to be inserted. Once the bag is over the frame the frame can be extended further to trap the rim of the bag under the top of the frame. Being stainless steel this trolley does not easily scratch / damage and is even suitable for front of house areas visible to customers. This is a high quality frame suitable for professional use and is easy to clean. Supplied fully assembled (folded) without bag (bags available separately in a wide range of colours). This is a new line and currently in manufacture. Please call to confirm availability on 01905 756061 and to secure this pre-launch special price. 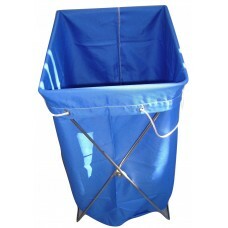 Foldable frame for our Commercial Laundry Bags. Holds bag fully open for easy filling. Heavy duty suitable for commercial use. The height and width will vary to accommodate different bags. Also suitable for holding plastic bags as long as the base of the bag rests on the floor to take the majority of the weight of the contents. 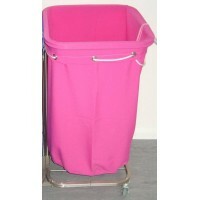 A standard bin liner (size 18" x 29" x 39") is ideal.